Estimation. Thanks to estimation180, our students are doing pretty well. While practicing today the struggle wasn’t deciding if an object was closer to five centimeters or five meters – the struggle was What is a limousine? What is an olive? What is a golf tee? And since we were using an online program, I couldn’t predict what they were going to need to know and not everyone had all the same questions. I tried showing the entire class, but it’s Friday and it just caused more talking and less working. So, I answered their questions as they came up. What is a limousine? What is an olive? What is a golf tee? This was maybe the fourth time I had been asked this specific question in about five minutes. One girl, A, had been sitting at my desk so I could help her. She had seen me show each student the picture on my phone and explain what it means to pole vault. You know how sometimes your curiosity is telling you to ask the follow up question while your teacher brain knows it will not go anywhere productive and you really should just let it go? This was one of those times. I gave in. I asked the question. “A really bad outfit?” I asked. 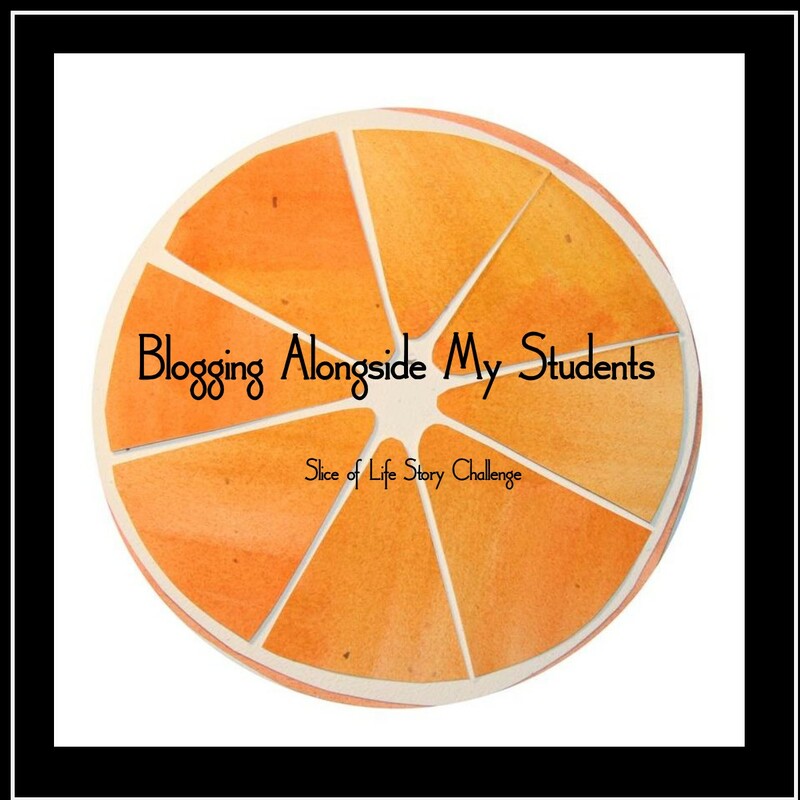 Posted on March 2, 2019 Categories Co-teaching, Second Grade, Slice of LIfeTags estimation, second graders, slice of life5 Comments on What’s a pole vault? It was one of those days that is bound to happen once in a while. Especially when that day is accompanied by a sinus headache and a classroom full of fifth graders. It was one of those days where you can’t tell if the students are acting out more than usual or you are just crankier than usual. It was one of those days that things go missing, you raise your voice too often, and you spend your plan time cleaning and reorganizing because that is all you can manage. Luckily, today was one of those days where I spent my plan time cleaning and reorganizing. And upon my irritated tossing and frustrated searching, I stumbled on some envelopes that my best friend and former co-teacher left me for “those days” when she changed schools. I read through the different envelopes that remained and found one the perfect one for today. “Open when…You’re stressed.” I ripped open the envelope to discover a toy dart gun. Despite my cranky attitude, I couldn’t help but smile and chuckle out loud. The stress didn’t go away, but it did dwindle some after the thoughtful gift from a friend and a few minutes of target practice. It got me through that last half hour of the day. Tomorrow will be better. …both like/need to be right. …both can be described as controlling and bossy. …very rarely give each other compliments. …have declared Wednesdays cake days. …eat cake for breakfast on Wednesday mornings at school. …are much kinder to each other on cake days. Today’s cake day led to this very special slice of life. I knew this was going to be important. Brought to you by Cake Day! Posted on March 16, 2016 March 17, 2016 Categories Co-teaching, Slice of LIfeTags cake day, co-teaching, SOL6 Comments on Cake Day! Yesterday, she was subbing in another room. The kids and I started trying to read Fox in Socks without making a mistake…not as easy as they thought. I got to page 12 and most of the brave souls who tried got to 7. One young reader tied me and stumbled on page 12. YES! She messed up on page 12…on the same word as I did! I’m pretty sure I jumped up and down in excitement. She, however, was not excited that we tied. And that is why I win! Posted on March 4, 2016 Categories Co-teaching, Slice of LIfe, Third GradeTags Dr. Seuss, fluency, reading, SOL, Third Grade6 Comments on Win! Yes, the world has ended. Jill Pickle has left me and I will be working with a new teacher this year. I know, I will survive and develop another great relationship. I am past my self-pity and looking forward to meeting my new partner. Since co-teaching is like a marriage, I want my new partner to have a heads up. I don’t know who you are yet, but very soon we will be a team. We will be spending so much time together our cycles will sync. (TMI…I know, but get used to it.) 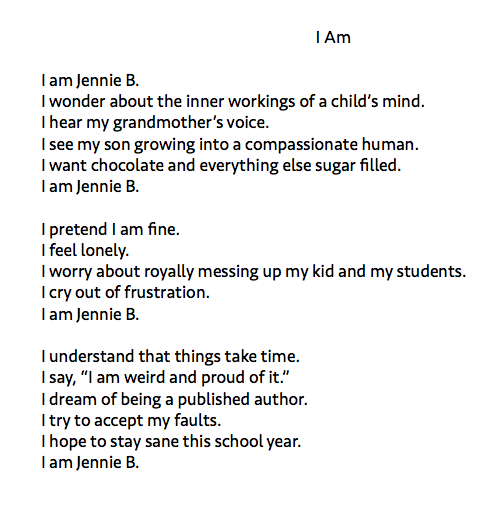 Here are some things you should know about me. 1. I may look angry, but I’m not. Some people call it the “resting *itch face.” Don’t be intimidated. 2. Smiling and small talk don’t come naturally to me. Please don’t take it personally if I look at you and don’t greet you. 3. Along the same lines…sometimes I will respond in my head and not verbalize it. (And not realize I didn’t say it.) I apologize in advance. 4. I am a morning person. 5. I have some control issues. I don’t delegate well, but I am working on it. 6. I am dedicated to these kids and will do everything that I can to help them learn. 8. I want you to tell me if I make you angry, upset, frustrated, etc. I can’t fix what I don’t know. 9. I whole heartedly believe that co-teaching is the best for ALL students. All of the students are OURS and together we will help them grow.